Sri Lanka are placed in Group B of the Asia Cup along with Bangladesh and Afghanistan. Mathews’s team will play Afghanistan on September 17. 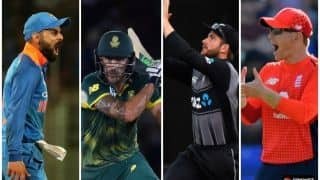 The top two teams from each group will enter the Super Four, from which the final two will meet in Dubai for the final on September 28. 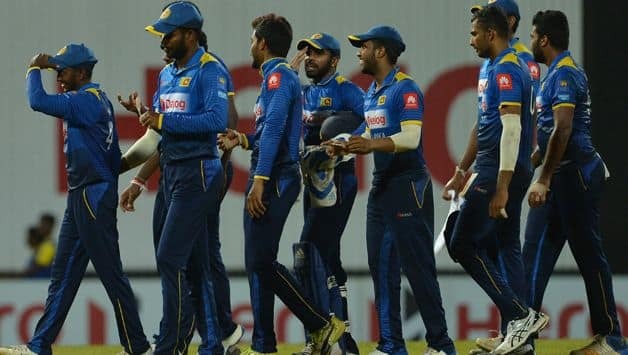 The Sri Lankan cricket team led by Angelo Mathews, will begin its campaign at the 2018 Asia Cup, to be held in the UAE from September 15-28, against Bangladesh in the tournament opener on Saturday, September 18. Here’s a look at Sri Lanka’s strengths and weaknesses ahead of the Asia Cup. X-factor: Kusal Perera and Lasith Malinga. When Kusal Perera debuted, he was hyped as the next Sanath Jayasuriya, but the 28-year-old is yet to live up to his potential. 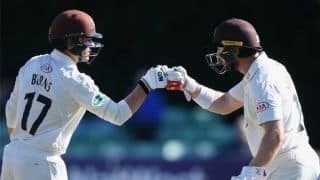 Nevertheless, the attacking wicket-keeper batsman now and again shows glimpses of his marauding form and once he gets going it is very tough keep him quite. When at the peak of his powers the left-handed batsman was suspended for failing a dope test. However, with his own effort he was cleared in 2016. He returned with a bang scoring 135 against Ireland in June 2016, unfortunately, that remains his only century since then. But, with solid showing the South Africa series where he scored 81 and 57, Sri Lanka will be hoping that Perera continues that form in to the Asia Cup as well. As for the returning Lasith Malinga – well will always be the X-factor. The unconventional bowler may be 35 but with the kind or resume he has build in ODIs over the years, no team will make the mistake of taking him lightly. Malinga last played an ODI for Sri Lanka in 2017 against India and was left out for the one-off T20I against South Africa in August, so there is the sub-plot of Malinga wanting to prove himself. His recent string of good performances in the T20 leagues in Canada and Sri Lanka prompted the selectors to give him one more lease of life. And with Sri Lanka’s struggles in the recent past, Malinga could prove to be catalyst the team needs. Strengths: Fast bowling. Only because a certain Malinga features in the line up. By no means is this attack at par with Pakistan’s or India’s, but it’s the bowling department they seems to be stable for the Sri Lankans for now. In Malinga, Suranga Lakmal and Thisara Perera SL have one of their most experienced bowlers. While Kasun Rajitha and Dushmantha Chameera are looked at as the future stars for the team. Weaknesses: Overall, this is a team struggling to play as a team. In the recent South Africa series, while Sri Lanka registered a win by 178 runs and posted 300 plus score, they also were shot down for 193 and conceded 363 runs. Angelo Mathews’ team has been hit by injuries to big players like Dinesh Chandimal and off-field player reotrics (Dhanuska Gunathilaka). Mathews has not been able to rally the team together and lack of form of keys players has now become a perennial worry. Head-to-Head: Sri Lanka have played Bangladesh in 12 ODI matches in the Asia Cup, winning 11, losing just one. During the last Asia Cup in 2016, which was a T20 format edition, Sri Lanka lost to Bangladesh by 23 runs. Against Afghanistan in the Asia Cup, Sri Lanka have a 1-0 record. Prediction: With Bangladesh ranked higher and Afghanistan gaining strength, Sri Lanka will have to play out of their skins to top the group. A Super 4 entry is more or less assured but against India and Pakistan (who are likely to progress from Group B) Sri Lanka doesn’t seem to have the fire power. a third place finish in Super 4 seems likely.